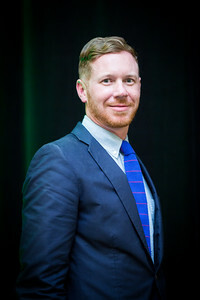 Josh Drayton, deputy director of the California Cannabis Industry Association, has an extensive career in local and state-level politics, with his origins in Humboldt County as a political organizer. As a coffee shop owner about ten years ago in Humboldt, he let city council candidates use his space for community engagement, which eventually steered him towards a career in politics. As a heavily involved resident of Northern California and an advocate in local and state matters, he came to understand cannabis as a strong economic driver for the region and beyond. Drayton saw firsthand how local economies benefit from cannabis as a source of income, economic activity, and providing occupational opportunities for many families in Humboldt County. After running a handful of local campaigns in the Humboldt region, Drayton served as deputy director for a state senate campaign in Riverside. Towards the end of his tenure with the Democratic Party in California, the state legislature began working on medical cannabis regulations. “As we saw those regulations moving through, cities and counties began to ban cannabis throughout the state, which was a very unintended consequence,” says Drayton. “The goal was to put regulations forward that would create a framework for the industry to survive and function under, but they were not very fond of cannabis at the time. It was clear that we had a lot of work to do.” Politicians shying away from cannabis issues and a lack of real representation in the legislature for those stakeholders drove him to leave the state’s senate for the California Cannabis Industry Association (CCIA). In January of 2016, he jumped on board with the CCIA as their deputy director. Ahead of the California Cannabis Business Conference, September 21-22 in Anaheim, we sit down with Drayton to hear his take on the future of California’s cannabis regulations. CannabisIndustryJournal: Give us a quick update on the regulatory framework in California and the changes we should expect. Josh Drayton: One of the biggest challenges that California has faced has been the reconciliation of medical regulations with adult use regulations. Although California had medical cannabis legalized in 1996, we did not get those regulations put forward until 2015. That was called the Medical Cannabis Regulation and Safety Act. That was approved by the state legislature and signed by the governor into law. It was created in the legislature. When Prop 64 passed, the Adult Use of Marijuana Act, in November of 2016, it was passed through by a voter initiative. Any time that a piece of legislation goes to the voters, it trumps any legislation or regulations written by the state legislature. The real work has been to reconcile these two pieces of legislation into one regulatory structure. With that being said, we saw the initial trailer bill, attempting to reconcile these regulatory structures. That trailer bill is meant to address the new framework. Currently, we are waiting for the second viewing of the updated trailer bill SB 94 with all current amendments. Then we are anticipating those in the next couple weeks and we will see the regulations that will affect all these changes by November. CIJ: How strong will local and municipal control be in the future? Josh: It is incredibly strong and it is meant to be. I will say that California is like its own country. In Northern California, what they are willing to accept is very different in comparison to Southern California. Every city and county still has the ability to fully ban adult use and they can create and draft their own ordinances and regulations as long as it doesn’t go above state requirements. They can craft an ordinance to fit the needs of their city or county. Lets say you are in a rural area, delivery services might be important for patient access. Some areas might not allow brick and mortar dispensaries, and all that control lies in the cities and counties. CIJ: Will there be a dosing limit for patients buying infused products? What about for adult use? Josh: For adult use, there is going to be a limitation. Every edible has a maximum potency of 10mg of THC. For example, a chocolate bar can have a maximum of 100mg [of THC] but must be perforated in to 10mg pieces. We have been advocating for, and what has been a priority for CCIA, is a lift of any sort of limits on medical infused products. Many patients have a higher threshold or tolerance and they may need 100mg and we don’t want them eating an entire chocolate bar to get that. We are anxiously awaiting the new trailer bill to see if we have been able to lift that concentration limit. CIJ: Some have said the first draft of lab testing rules is extreme and overreaching. Can you speculate how those have been modified? Josh: The lab testing is a huge educational issue for the industry and regulators. No state right now has been able to fully analyze the effects of different pesticide levels for a product that is smoked. We are basing all of our standards currently on food consumption. A lot of testing labs are concerned they are unable to test at the state’s threshold for some of these contaminants and pesticides; the detection limits seem very low. The testing portion will take years to work out, I am sure we will remove and add different pesticides and contaminants to the list. But again, the data and research isn’t fully there. There is a big push across the board that we will be able to do more research and testing so that the future of regulations can reflect reality, and ensure that consumer safety is priority. CIJ: What do you think of the lack of residency requirement? When Oregon lifted it, outside investors flocked to the market. How might that impact local, California ownership and smaller businesses? Josh: Well I do think that is a concern across the board. That is something that cities and counties have been adding to their requirements for the matrix of items needed to get a license. I think there is a very gray area when looking at investors opposed to operators. At what threshold does an investor become an owner? And if that person is from outside the state, how will that reflect on the evolution of the industry? It is a concern. Keeping limitations on the size of outdoor cultivation might help limit folks from outside the state coming into that arena. After living in Humboldt County for years, and living next to Mom and Pop growers for a long time, I don’t want to see them displaced by businesses coming from another area. We have been doing this a long time and I believe we have the best operators in the world. CIJ: How is the CCIA helping businesses gear up for changing regulations? Josh: Well one of our biggest areas of focus is education. Educating our own industry is one of the biggest parts in making sure the industry will be successful in this regulated market. Our legislative committee will take a position of support or opposition, which goes to our board, and those recommendations go to the state. The manufacturing committee has worked very closely with Lori Ajax [director of the Bureau of Cannabis Regulation] and her office, to educate on a variety of areas, guiding the way for state departments on how to properly regulate the industry. We have a Diversity and Inclusion Committee, Retail/Delivery, Testing, Distribution and Agricultural committees; across the board our committees create white papers that we submit to the regulatory departments of the state. We take regulatory officials on tours of facilities to get a hands-on view of what they are regulating. They have been speaking with scientists and growers, who often have a better understanding of current industry standards. We see these tours as very helpful. We have brought groups of regulators from LA County, Long Beach, Napa, Alameda and many others on tours of Bay Area commercial manufacturing facilities, dispensaries and nurseries. They have a lot of questions and we want to make sure we are a resource for them. Putting folks in touch with the right people and, in moving forward with this process, in an educated manner. Cannabis is a foreign language to many people and I get that. CIJ: If you have one recommendation for regulators, what would that be? Josh: My recommendation to regulators: do not over-tax this industry. Do not make taxation the priority for regulation. Over-taxation will strengthen the illicit market and that is not the goal. We need to make sure the taxes are reasonable to encourage businesses to operate in this market, not in the illegal one. If cities decide to ban, they need to know they can be hubs for illicit activity. Cities with bans might draw the illicit market because illegal operators won’t have to pay taxes or license fees. It is a long play, but responsible taxation is the best path to draw people out of this illicit market. We want to help protect public safety and health, safe medicine, safe products and keep cannabis out of the hands of children.